Home Current Events Happy Mother’s Day! We hope everyone has a great Mother’s Day this weekend! 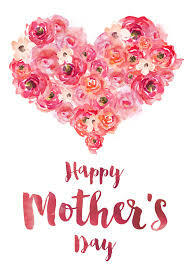 Remember to thank your mother for all she did and still might do for you: the scraped knees she kissed, the monsters she chased away, and, yes, how she brushed your teeth and taught you how to take care of them! At our office, we recognize our job would be impossible without Moms!